"This run is gonna have to be fast as fritzing cats, though, ’cos it’ll get frigging hard real quick." The 2018 Android: Netrunner Regional Championships are nearly here, and they promise to offer some of the greatest cyberduels the game has ever seen! As the Kitara Cycle races toward its climactic conclusion, and we draw nearer to the release of Reign and Reverie, the 2018 Regional Championships will reward those runners and sysops who can best adapt to the ever-changing battlefield. The principles of economy, bluffing, and calculated risk remain, but your virtual struggles find new context—impacted by the release of new ice, icebreakers, and key events in the meat world. 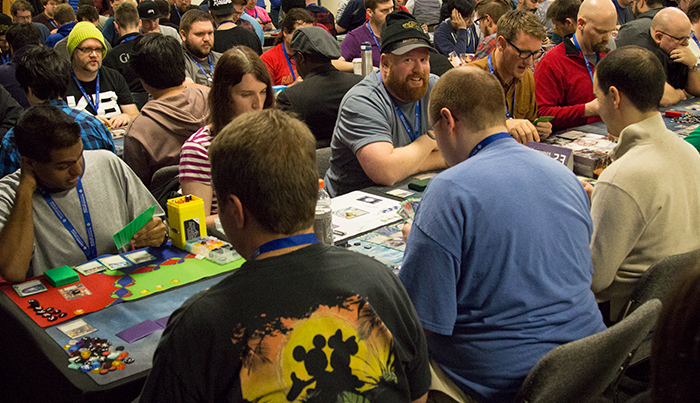 Accordingly, while the 2018 Android: Netrunner Regional Championships offer you a chance to enjoy large, energetic events, full of your region's best and most enthusiastic players, they also serve as a critical test. Is your deck ready? Have you learned how to pilot it? How do you adjust your strategy when you fall behind? How do you bait your traps, and when do you spring them? The answers lie before you—our list of 2018 Android: Netrunner Regional Championships is now available. Visit the list to find the event or events nearest to you! Of course, as any veteran runner could tell you, the Android: Netrunner Regional Championships don't just offer some of the year's best competition; they also offer some of the year's coolest prizes. The 2018 Android: Netrunner Regional Championships continue this trend with a collection of alternate art cards, plastic spot-glossed cards, custom tokens, playmats, trophies, and a first-round Prize Bye for the winner to claim at an upcoming National Championship. 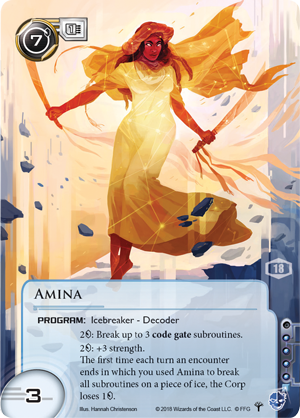 The Top 64 participants at each 2018 Android: Netrunner Regional Championship receive an alternate art version of the Criminal decoder, Amina. Purple and orange one-credit and three-credit tokens. 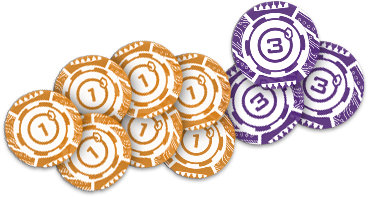 The Top 16 at each 2018 Android: Netrunner Regional Championship claim a set of ten of these acrylic tokens, seven of the 1-credit tokens and three of the 3-credit tokens. 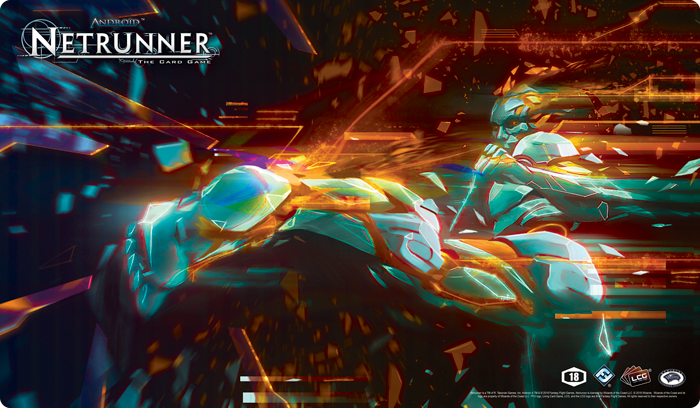 Break into the Top 8 at one of this year's Android: Netrunner Regional Championships, and you'll earn a commemorative playmat featuring the art from the icebreaker Engolo—frozen in motion as it breaks down corporate defenses with a powerful kick. 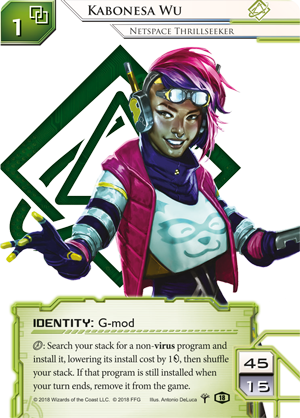 The Top 4 virtual thrillseekers at each 2018 Android: Netrunner Regional Championships win a spot-glossed plastic identity card for the Shaper Kabonesa Wu. 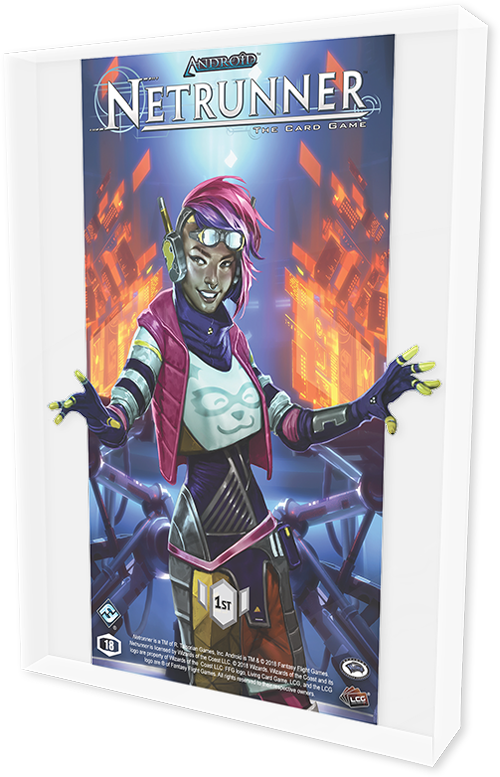 Each 2018 Android: Netrunner Regional Championship is bound to send you crashing into servers, thrust you face-to-face with potent icebreakers, lure you into carefully disguised traps, and lead you just outside of some of the Android universe's most valuable data. Will you be the one to seize it? Will you gamble everything on the most daring of runs—the runs that separate everyday hackers from the runners of legend? If so, you'll find Kabonesa Wu adorning your Regional Championship trophy, and you'll gain a Regional Championship card that you can redeem for a first-round bye at an upcoming Android: Netrunner National Championship! Make your plans to attend a 2018 Android: Netrunner Regional Championship. View our list of Regional Championships to find one near you!